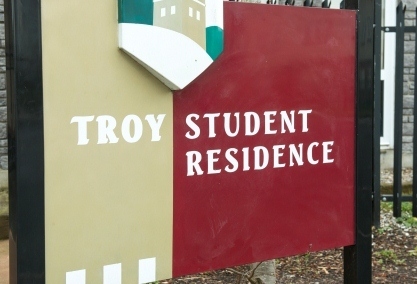 Troy Village - Off Campus, is located in the Groody area of Castletroy which is a 15 minute walk to the main University of Limerick campus. Campus Life Services purchased the property in 2015. Offering a wide range of apartments, the village has a reception and launderette. All villages have a mix of students in the community, first year, seniors, international students and postgraduate students. Number of rooms - 170. Gated access with CCTV and secure key main gate access. Please note: Troy Village has extremely limited car parking facilities which will be offered on a first come, first serve basis. TheVillage is a non smoking residence.